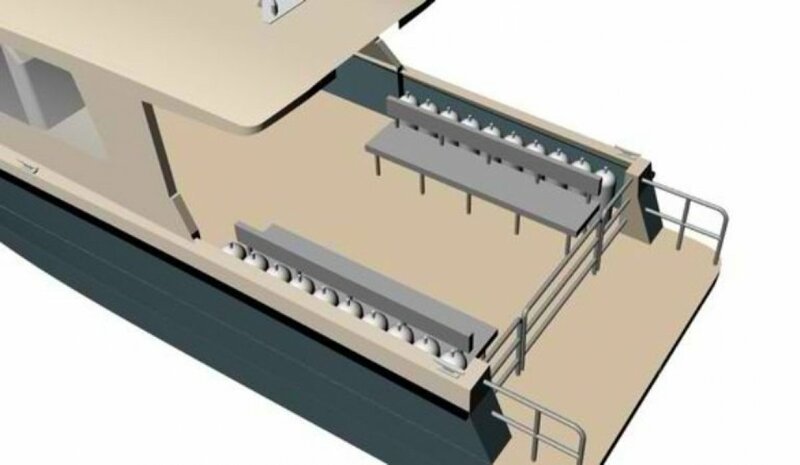 This new model is a powerful and compact commercial catamaran. 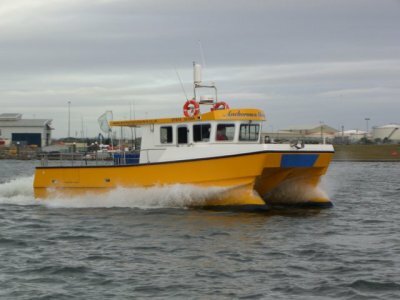 Characterized by a seaworthy hull, huge cockpit area, economy of operation and maintenance free construction, the boat is designed and built to address the needs of dive and tour operators who want to offer the best to their clients. The catamaran is available in a variety of configurations and can be customized to meet an operator's exact requirements. The hull is standard but cockpit layout and superstructures can easily be modified and are basically designed in cooperation with the operator. The options include several engine choices : gasoline outboards, diesel engines with sterndrives or with traditional straight drive propulsion. Power requirements range from 2 X 200 to 2 X 350 Hp. The first unit, currently under construction, will be powered by 2 X Hyundai S270P (270 Hp) with straight drive propulsion for a service speed of around 22 knots. 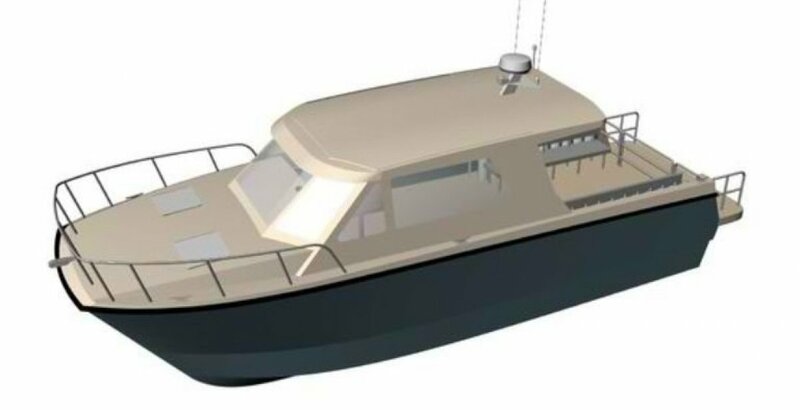 The first vessel will be delivered in June 2018 and will be employed for whale watching and diving excursions in North Sardinia (Mediterranean). Power requirements range from 2 X 200 to 2 X 350 Hp. This new model is a powerful and compact commercial catamaran. 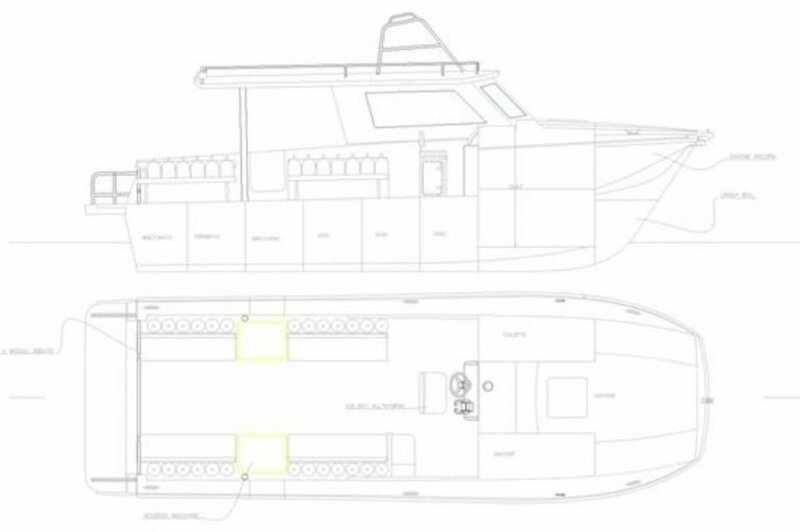 Characterized by a seaworthy hull, huge cockpit area, economy of operation and maintenance free construction, the boat is designed and built to address the needs of dive and tour operators who want to offer the best to their clients. 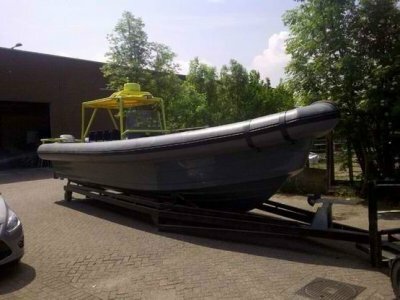 The catamaran is available in a variety of configurations and can be customized to meet an operator's exact requirements. 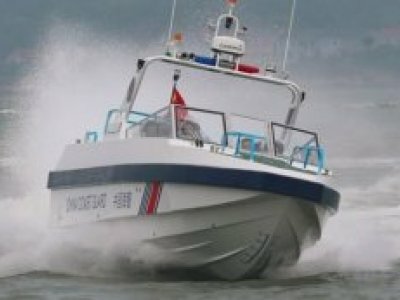 The hull is standard but cockpit layout and superstructures can easily be modified and are basically designed in cooperation with the operator. The options include several engine choices : gasoline outboards, diesel engines with sterndrives or with traditional straight drive propulsion. 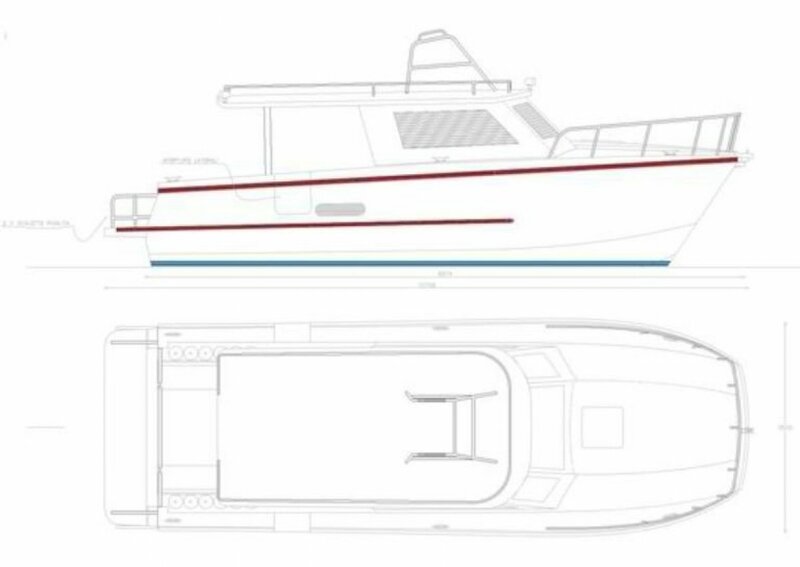 The first unit, currently under construction, will be powered by 2 X Hyundai S270P (270 Hp) with straight drive propulsion for a service speed of around 22 knots. 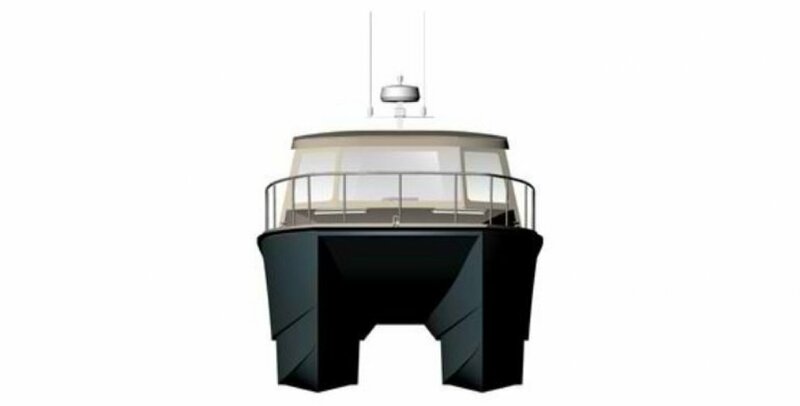 This vessel will be delivered in June 2018 and will be employed for whale watching and diving excursions in North Sardinia (Mediterranean).